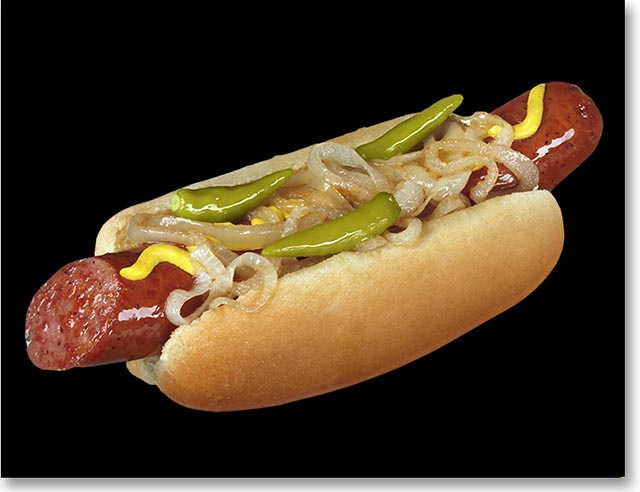 This photo was created for Eisenberg Sausage to grab the attention of hungry Cubs fans at Chicago’s Wrigley Field. This classic style of Polish Sausage traces its origins to Chicago’s Maxwell Street market. Grilled onions, sport peppers and yellow mustard help to create a colorful photo.